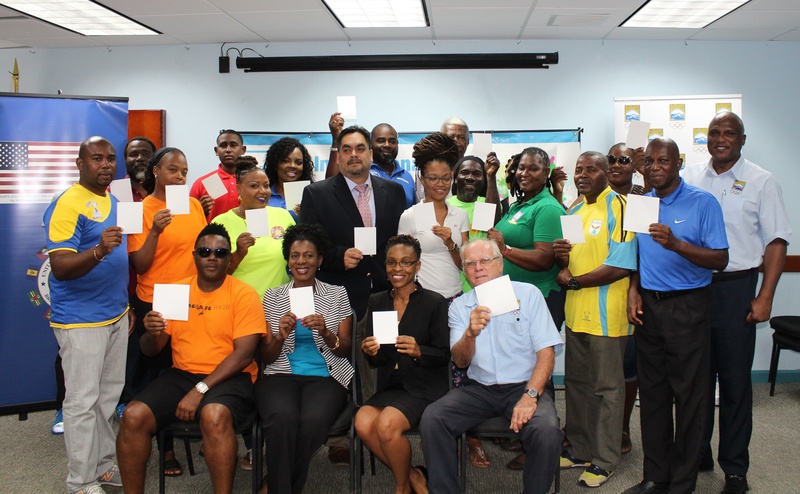 The BOA, the Barbados Lottery, UNICEF and the U.S. Embassy in Barbados as well as 16 local community teams have come together to host a multi-sport youth rally event including basketball, dominoes, football, netball, and road tennis. This year, the day will be celebrated with three events. On April 6, a Youth Outreach Educational Workshop will be held at BOA Headquarters, followed by a Community Leaders’ Conference on April 7. The IDSDP main event, a Multi-Sports Youth Rally is to be held on Sunday April 8 at Blenheim Playing Field, Ivy, St. Michael from 9.00am onwards and is intended to highlight the role of sport to promote community development and cohesion. 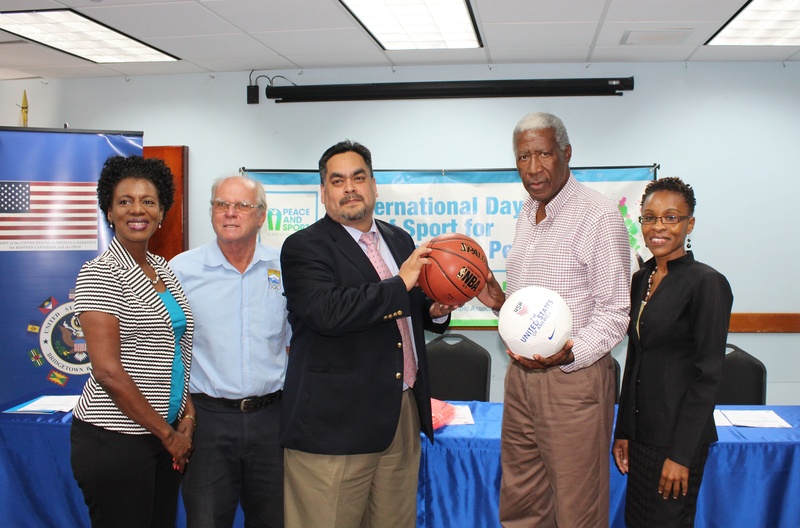 Public Affairs Officer at the U.S. Embassy, James Rodriguez, has donated 16 basketballs, 16 netballs, 16 soccer balls and 16 training bibs to the event on behalf of the Embassy to assist with the development of sport and unity in Barbados’ communities. “This is our second year participating in this program and we are very proud of our participation. It is an honour to be able to donate some sports equipment, and to just be able to participate in general. We understand sports, and we know that sports can push you in the correct direction, away from a life of violence and crime. So it really is something that we're interested in doing,” he said at yesterday’s press conference. Featured Image: (from left) UNICEF Communication for Development Specialist Dr. Lisa McClean-Trotman, BOA Academy Director Dave Farmer, Public Affairs Officer at the U.S. Embassy James Rodriguez, Representative of the community leaders’ Hamilton Lashley, and Brand and Public Relations Manager, The Barbados Lottery, Kelly King.